Gold Galore address, phone, website, and more. Gold Galore, is focused on providing high-quality service and customer satisfaction – we will do everything we can to exceed your expectations. It is our mission to ensure that our clients are being treated with the respect, honesty, and exceptional service they deserve. Gold Galore, is your number one source to liquidate Gold, Silver & Platinum. We offer Top Dollar for your precious metals, along with a friendly & safe atmosphere to do business. 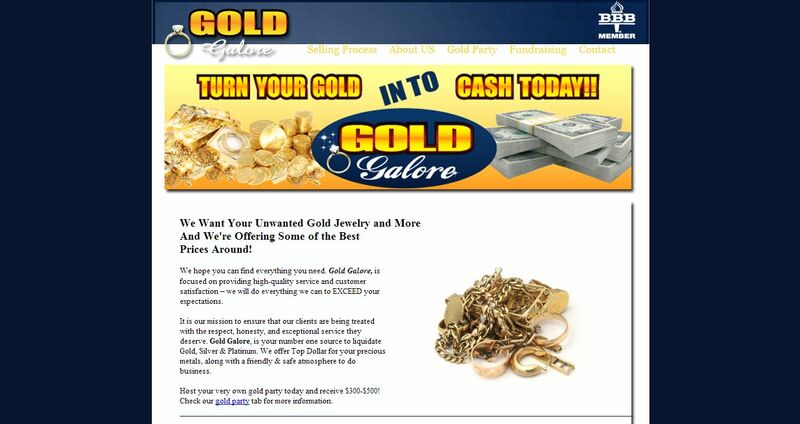 Gold Galore, LLC was founded on the principle that a customer’s needs are of the utmost importance. Our entire team is committed to exceeding those needs. As a result, a high percentage of our business is from repeat customers and referrals. We would love to have the opportunity to earn your trust and deliver you, what we feel, is the best service in the industry.